My other love is sculpting roses! 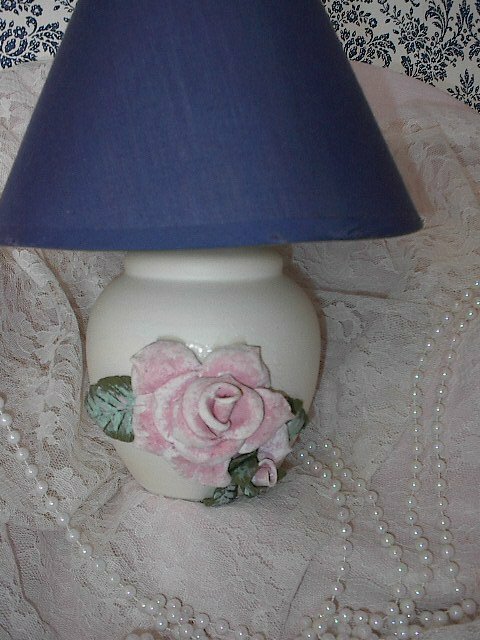 A beautifully sculpted rose just sets off this plain lamp. A little something to hold your rings in while doing dishes! Roses,roses,roses,three beautiful tiers of them! This old bottle never looked so good! Just add a candlestick and walla! Your done! I think beautiful things come in 3's! 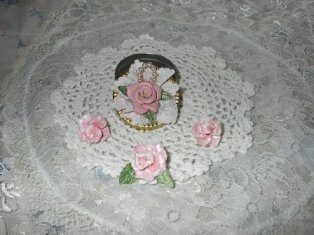 I want to thank you for viewing my page. 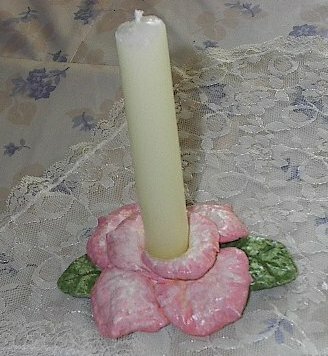 I hope to in the near future to add things I sculpt with the roses for sale. 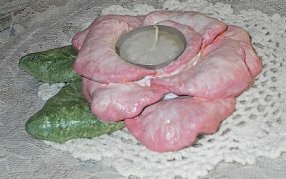 And thank you again,for viewing my "Rose Sculptures."